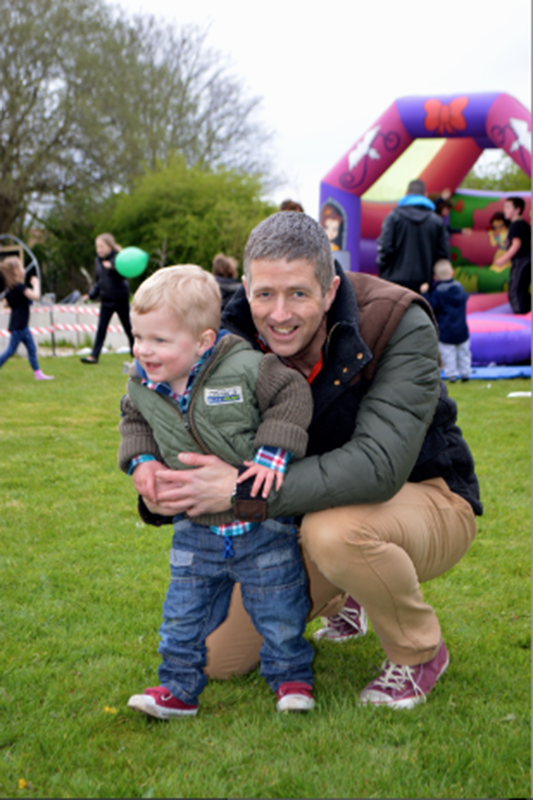 Fathers in Little Hulton are gaining ground to help their children in more ways than one. A group of local men called Salford Dadz held a very successful Garden Party on Saturday 12th April, at Cleggs Lane Methodist Church. The latest in a line of dads and kids events, the Dadz reputation for designing and delivering events where local fathers and their children can spend time together doing fun things is growing. The garden party was a joint event with a local social enterprise called YOUR City Farm and involved planting seeds and building bird boxes as well as enjoying fun things like a treasure hunt, barbeque and Easter egg hunt. Dave [not his real name] had coped alone for several years with many difficult issues arising from his childhood leaving him emotionally scared, agoraphobic and socially isolated. Excessive alcohol was used as a way to cope with an overwhelming sense of hopelessness……. Although unplanned, children had provided the drive and motivation to prompt self-improvement….‘Salford Dadz’ had made Dave feel important, given him responsibility and purpose. It also provided a social outlet for men in a similar situation… According to Dave, ‘Salford Dadz’ has inspired self-improvement though support, but also provided concrete opportunities and direction, practical outlets and things to do. There are few natural places where men in Little Hulton come together and even fewer where fathers can spend time with their children. Salford Dadz events help fathers to meet up and share how problems have been overcome. By doing so, they are seeing early signs that this improves their own happiness and well-being and this is also starting to feed into their children’s well-being too. The work kicked off in early December when Salford Dadz hosted a children’s competition called ‘Men Behaving Dadly’ where local primary school children were invited to draw pictures, write poems and tell stories of why their dads (or any male in a caring role) was the greatest. The Ceremonial Mayor of Salford presented prizes and certificates to children from across Little Hulton at a Grand Finale at St. Paul Peel Church. Crucially, the children’s competition entries provided Salford Dadz with information about what the children though made a great dad and not surprisingly it was all about them spending quality time together. Salford Dadz also works closely with the Sure Start and Health Improvement teams and meets fortnightly every other Saturday morning at Little Hulton Children’s Centre on Longshaw Drive. All men in a father/grandfather role and their children are welcome. Activities and events can be found on their Facebook page (‘SalfordDadz’), by calling in at the Children’s Centre.